Philadelphia-based rideshare app Ride connects commuters. Philadelphia-based carpooling app Ride has raised $10 million and plans to launch in Atlanta this September, the Philadelphia Business Journal reported. If the app succeeds in helping its users speed through the traffic-congested southern city, then it may come to Philadelphia next. "We can't wait," Kelly Behrend, Ride's director of strategy and operations, told the Philadelphia Business Journal about the launch in Philadelphia. "That's where a lot of our employees are based and we all know and love that city and want to bring our product there as soon as we can." Ride's website claims that its app helps you "save the planet on your way to work" and save thousands of dollars each year in transportation costs. 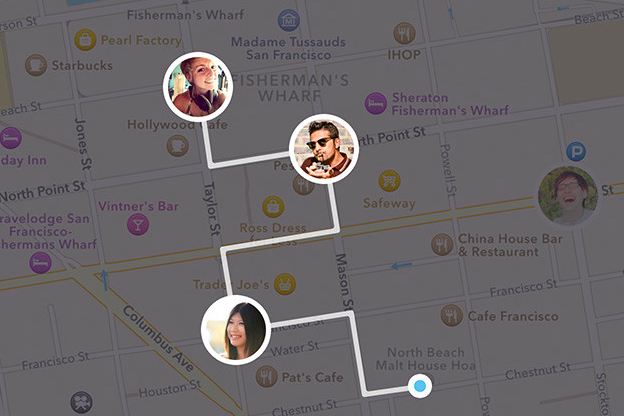 The app connects commuters who take similar routes to work. Passengers pay 11.5 cents per mile, of which 10 cents is reimbursed to the driver and 1.5 cents goes to Ride, said a company spokeswoman. It's like Uber for commuters, and that's no coincidence. Uber's first technology chief, Oscar Salazar, helped design the Ride app and leads the company's technical team. Ride takes care of payment, planning and communication. It also offers a "Guaranteed Ride" service in case you stay late at work and miss the carpool. The company doesn't want to just help people get to work, however. It's partnering with U2 for the band's Innocence and Experience tour to help Ride users get to the show, part of a bid to expand beyond the daily commute into areas like concerts and sports events. The company is in a race with other rideshare companies to get users out of their dreams and into their cars. Uber and Lyft are already well-known, but apps like SideCar, Shuddle and Via have also raised tens of millions of dollars. This competitive field may be just as crowded as the road to work, but it's definitely not moving slowly.